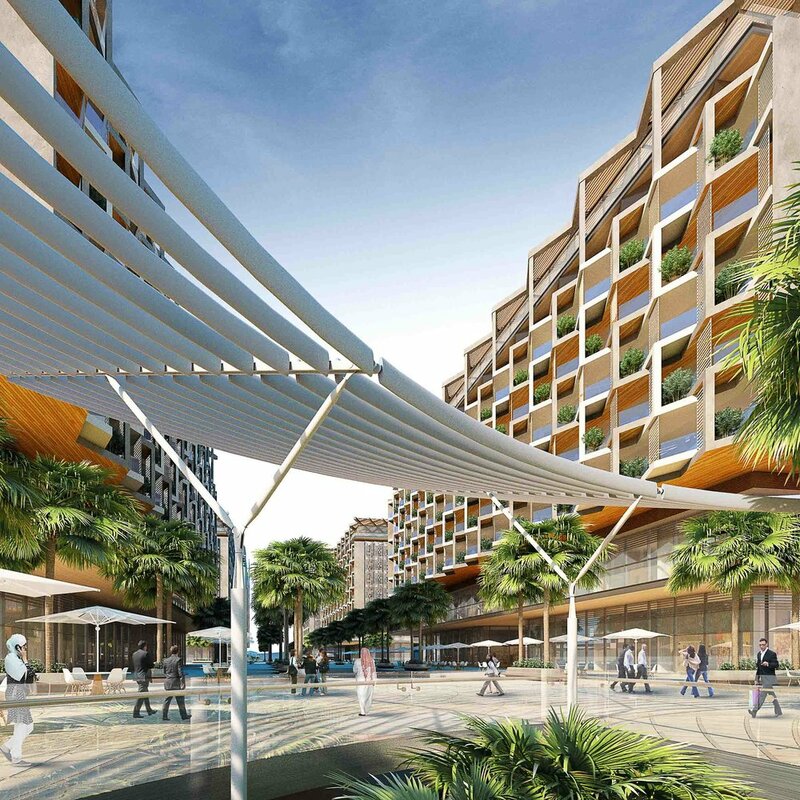 Located 500m off the coast of Abu-Dhabi, Stuart Forbes Associates have been asked by Far Glory to masterplan the area linking New York University campus to the Marina District of Saadiyat Island. 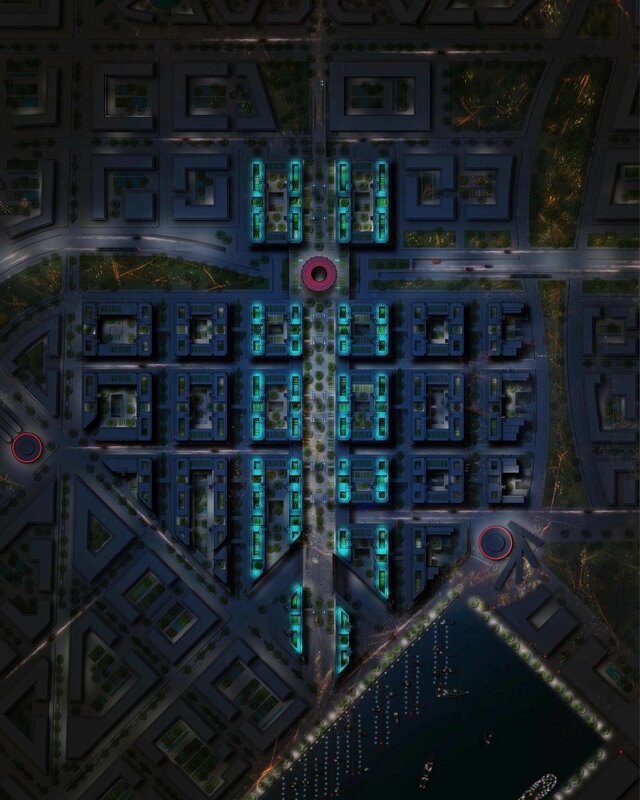 The project's key drivers were to minimise the use of cars and promote environmentally friendly transportation. This was done by creating a direct pedestrian link between the NYU campus and the marina. This raised boulevarde, or ‘highline’, is flanked by shops and local amenities to create a local high street for the development. At the same time the design had to meet excellent environmental ratings whilst also being cost effective and fast to build. 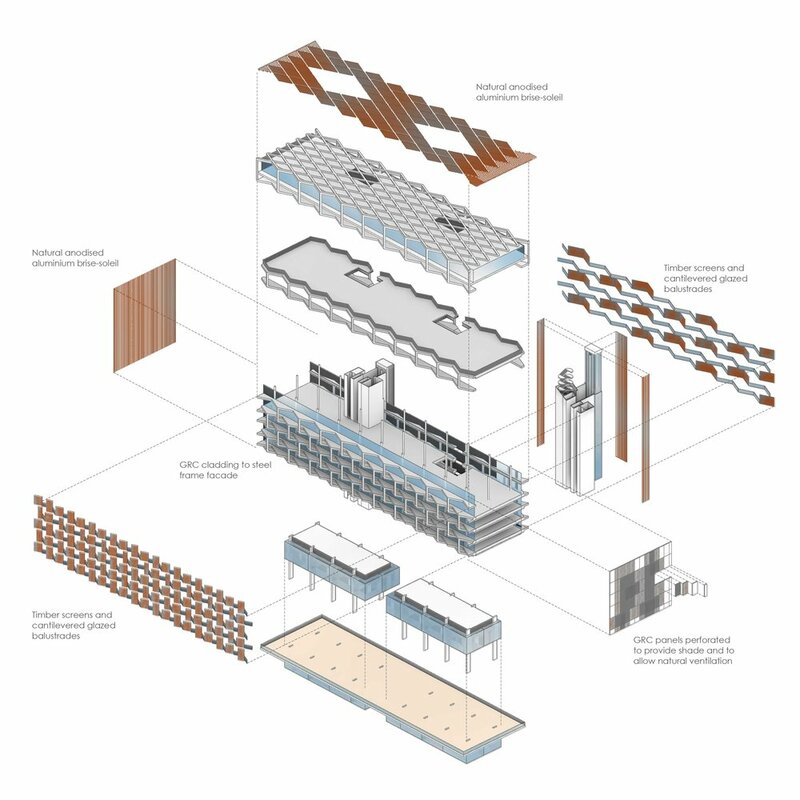 Our approach for the residential buildings started from the analysis of the local vernacular, the Fareej. 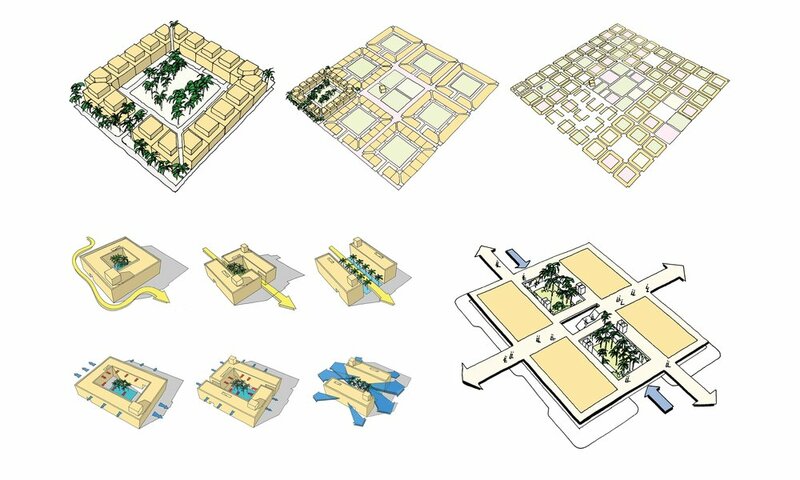 We developed a modern version of this local housing style to create a masterplan that forms around a necklace of cool shaded courtyards creating an urban oases for all the residents and visitors. The orientation of the blocks minimise solar gain whilst maximising cool air flow from the sea to naturally keep the area cool. The residential blocks and courtyard oases surround the highline. The buildings are tallest along this main thoroughfare and crescendo to the Marina. These dynamic building will create an internationally recognised skyline in keeping with the TDIC vision for Saadiyat Island.